Limited Edition - A natural aromatherapy pulse-point balm to comfort spirits and restore inner calm. Rose Geranium, Sweet Orange and Lavender help soothe and comfort, Myrrh calms a busy mind while Palmarosa helps relieve anxiety. 1. Find a quiet place and massage a small amount onto your wrists and temples. 2. Breathe in deeply, allowing the aromas to calm and centre the mind. 3. To enhance the benefits light a Restorative Candle and restore your inner calm. I received this balm as part of a Christmas present and now it is something I carry with me at all times. I apply it whenever I feel a bit stressed or wound up and the really calming scent helps me feel that little bit more relaxed. Would highly recommend! Love this stuff, not normally a believer but I would highly recommend! This balm comes in handy so often. As someone who can find life’s anxieties overwhelming from time to time, taking a little moment to pamper myself can help me to stop, breathe and relax. I think that a little luxury like this balm is the perfect remedy for stressful moments, and is a lovely pre-bedtime ritual that helps me to unwind and sleep. It’s scent is calming and I appreciate that it contains lavender, but is made up of other ingredients which help to make it a more unique smell. I would highly recommend this as a handbag and nightstand essential! 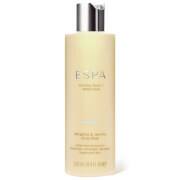 I bought this as a treat at an espa spa visit recently and haven't stopped using it. The scent is overwhelmingly calming; it's the exact smell of a spa & I feel better as soon as I take the lid off. 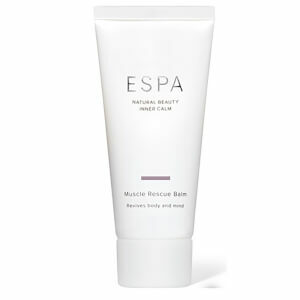 I usually rub a small bit into my wrists and it's not only soothing but really moisturising as well. It's small enough to fit in my purse and I was able to use it on planes whilst I was travelling - a great help for feeling tired and weary on a long journey.